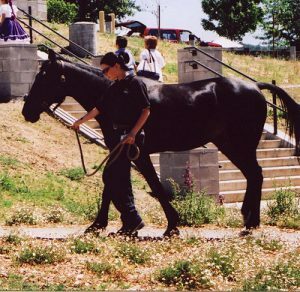 GEVA can provide clinics and seminars such as “equine legal issues, contracts, etc.”, “So, you want a career with horses: the ups and downs”, “Lameness, injury, treatments, medications and handling”, etc. We can put together a seminar or clinic for your group for your subject of interest. Just let us know. We have a covered arena with a spectacular view of the Mayacamas Mountains and the adjacent vineyards. There’s a viewing deck, which also overlooks a pond. The arena footing is sand and rubber chips. If you’d rather do your own seminar or clinic using our facility, we can also accommodate you. It’s your choice. Prices available upon request according to the event. Please contact GEVA for rates. (707) 527-8092.